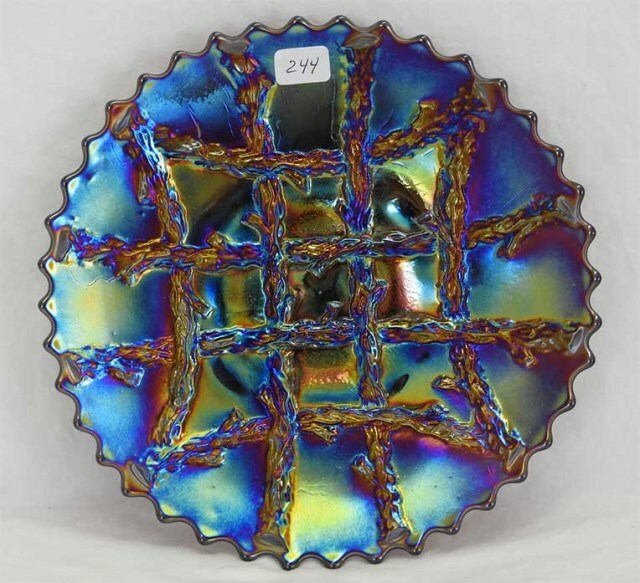 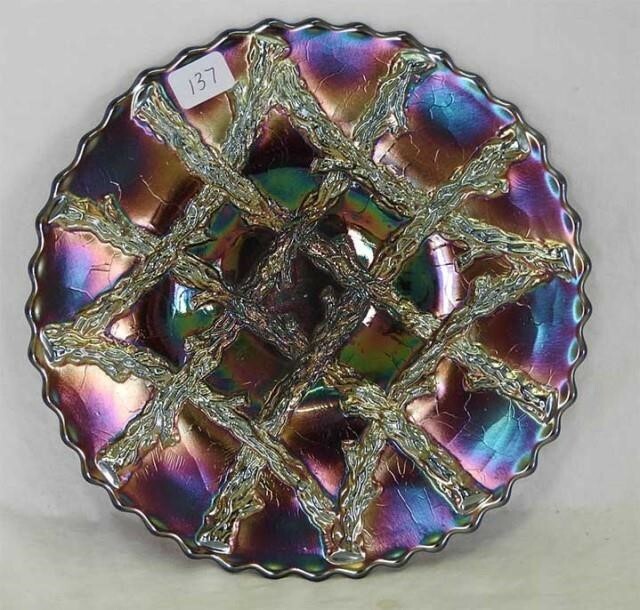 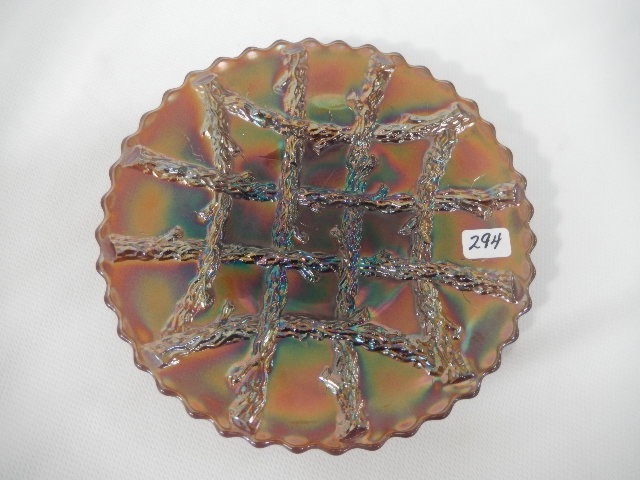 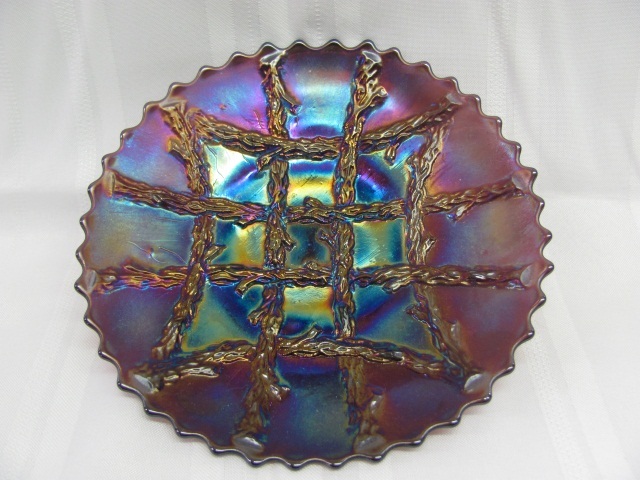 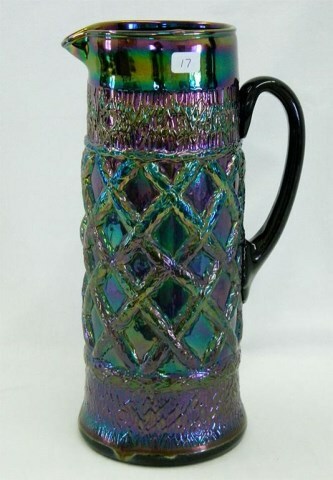 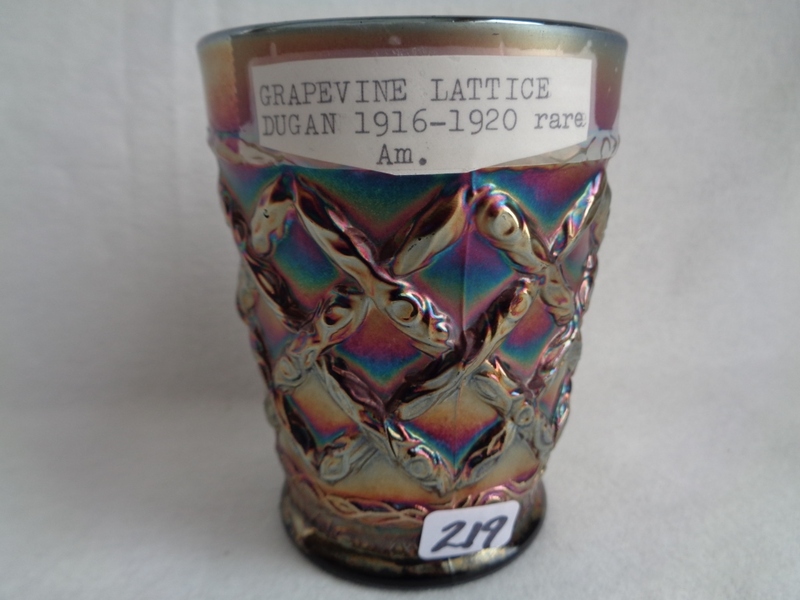 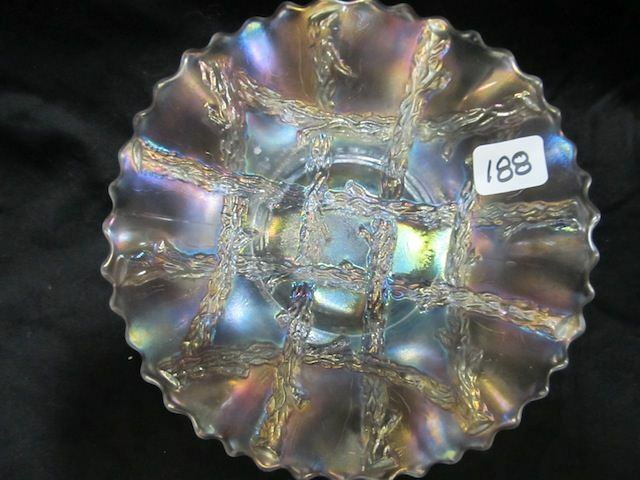 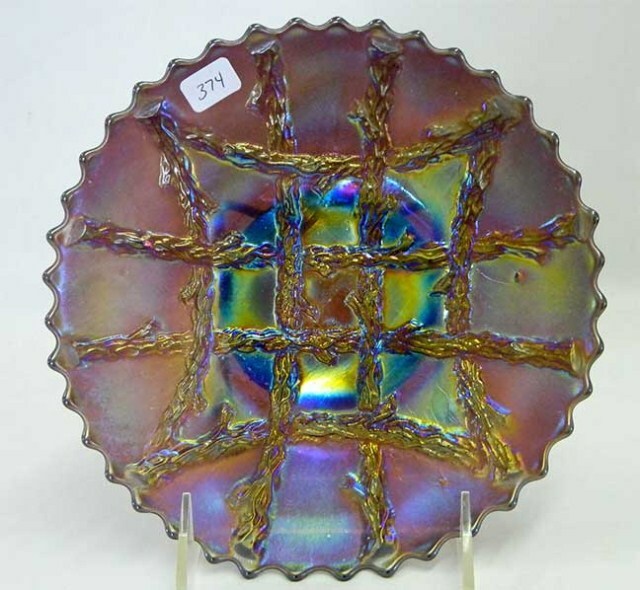 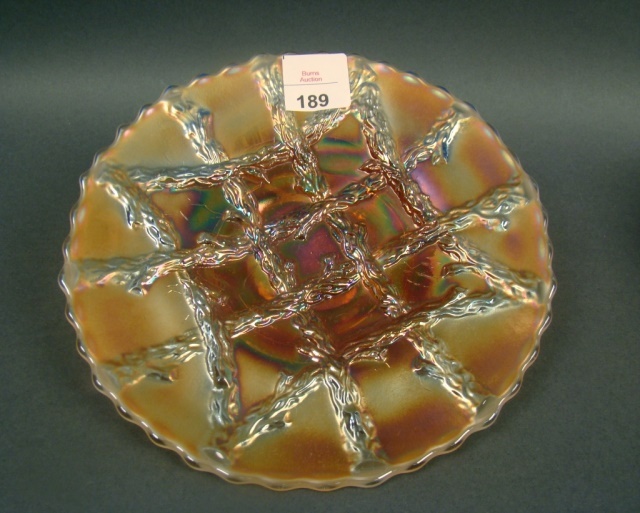 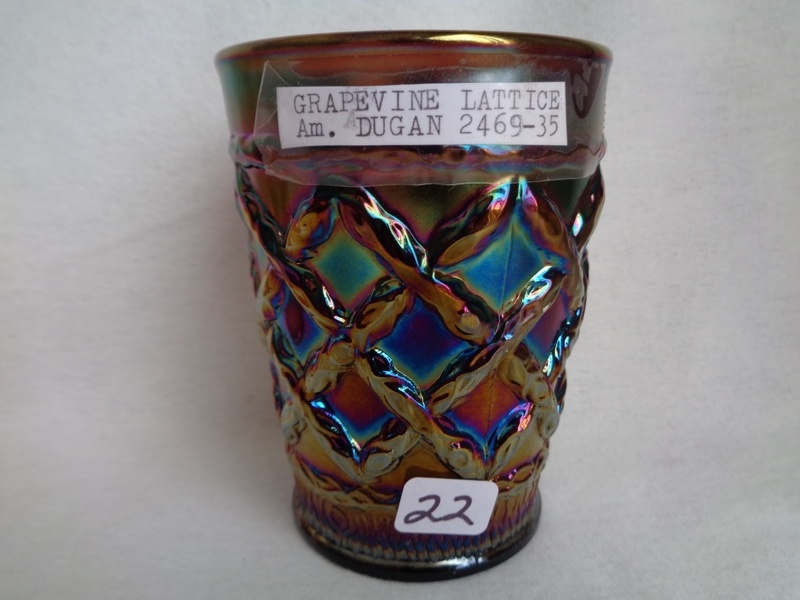 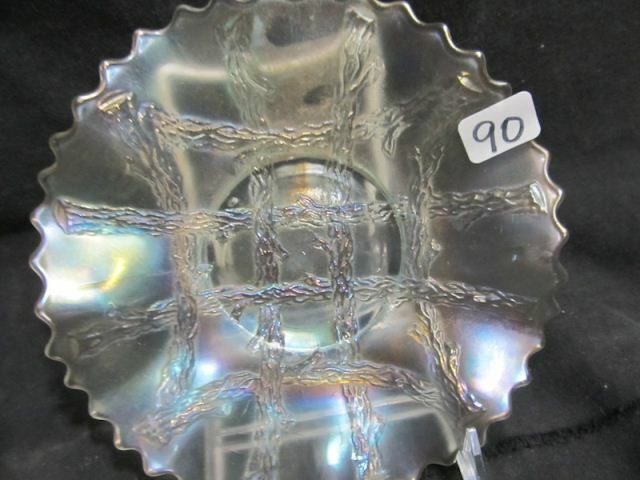 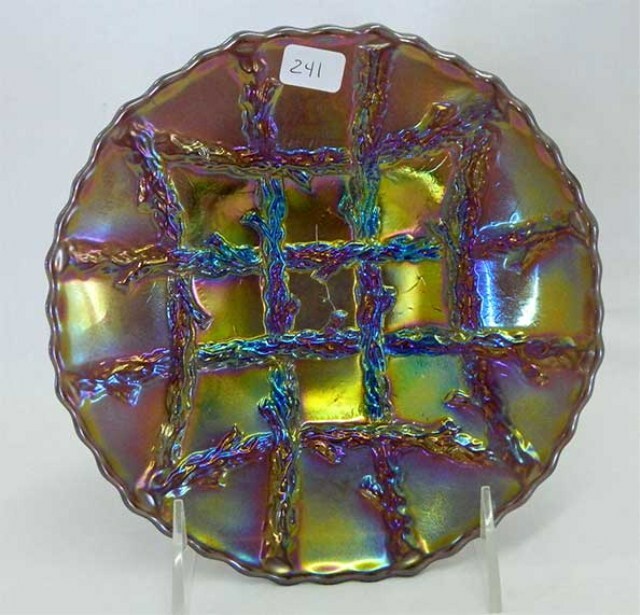 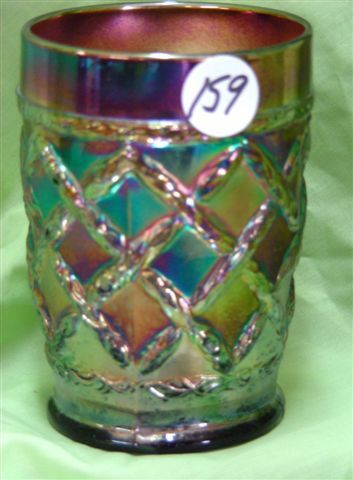 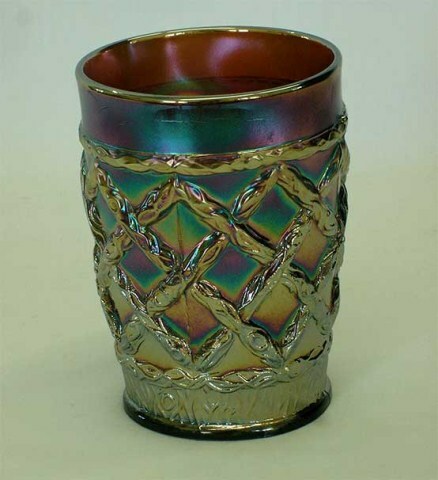 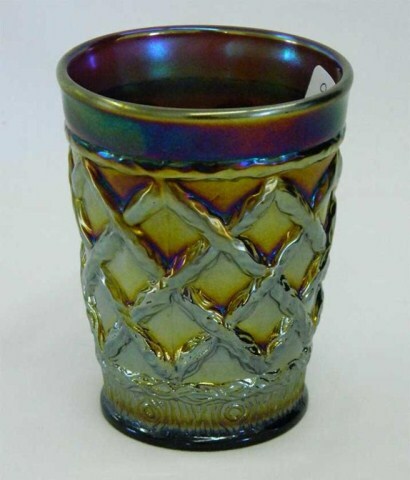 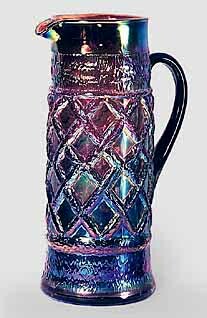 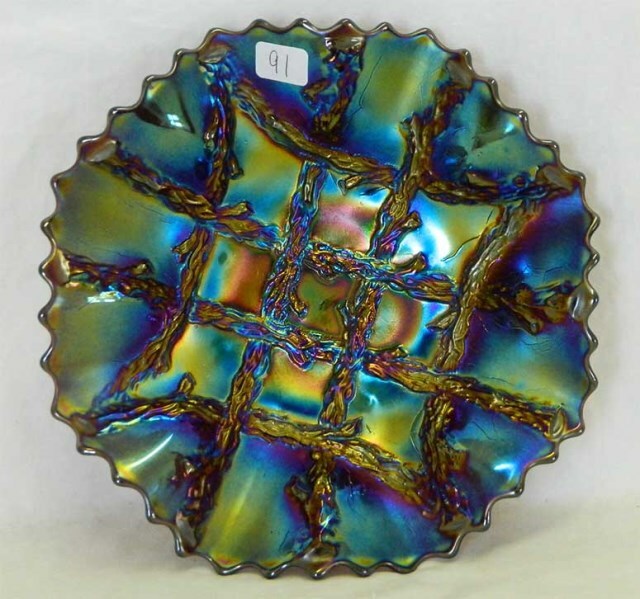 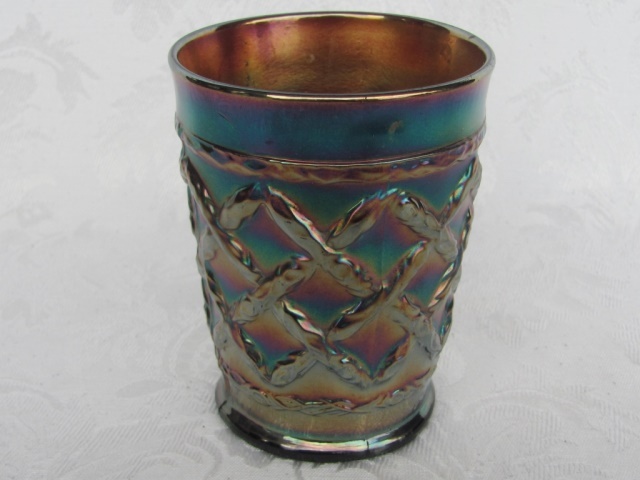 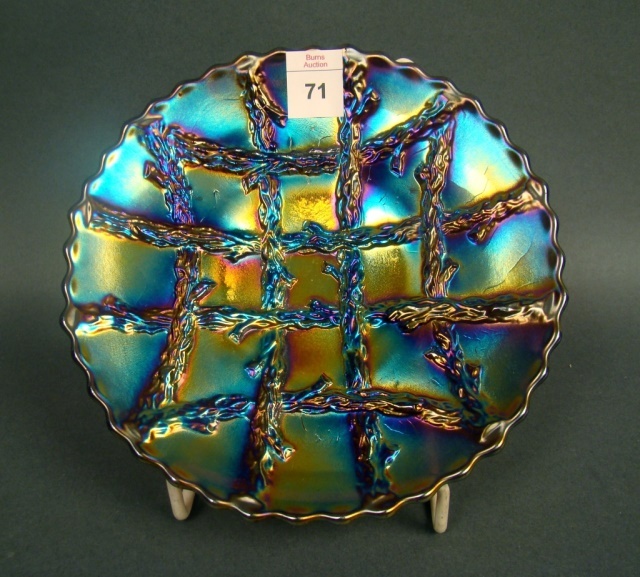 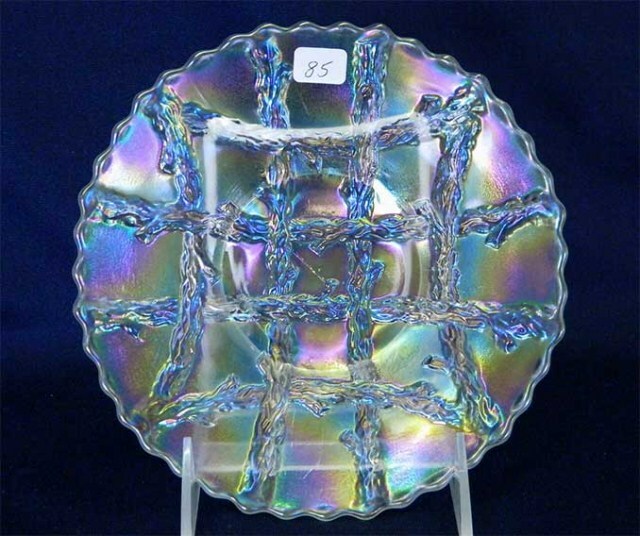 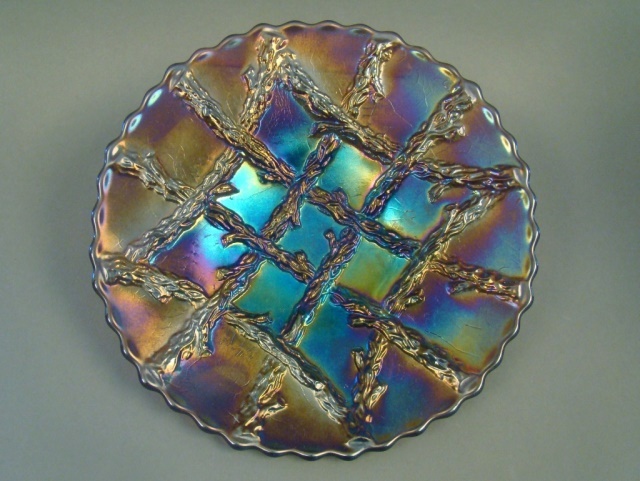 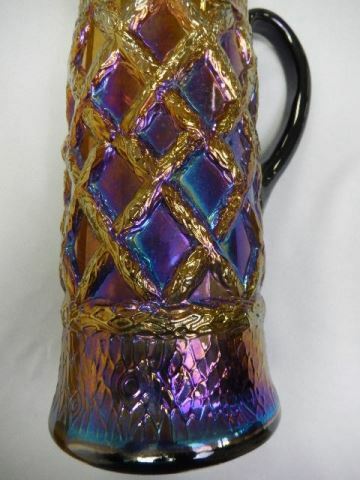 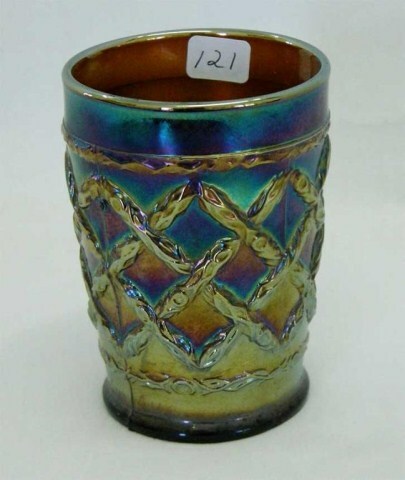 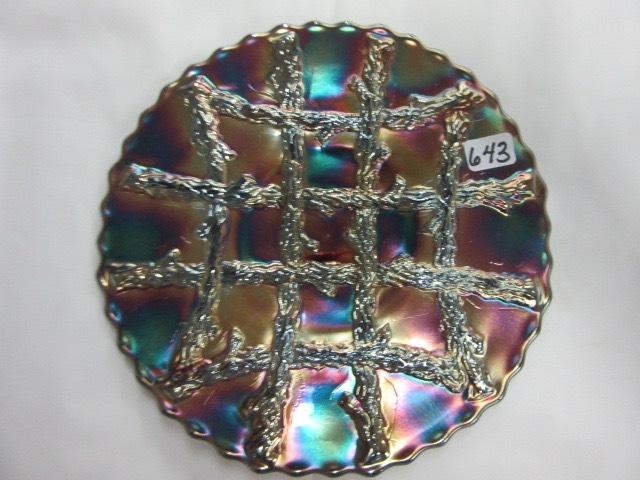 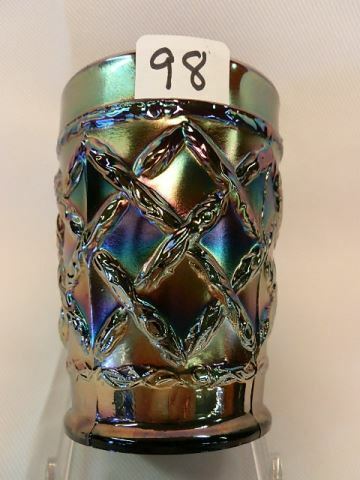 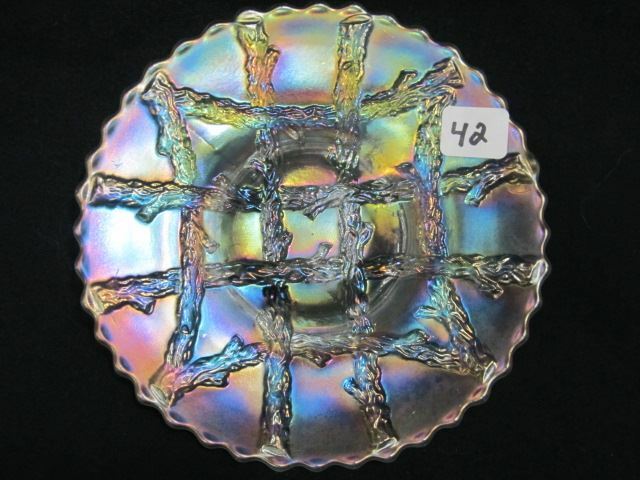 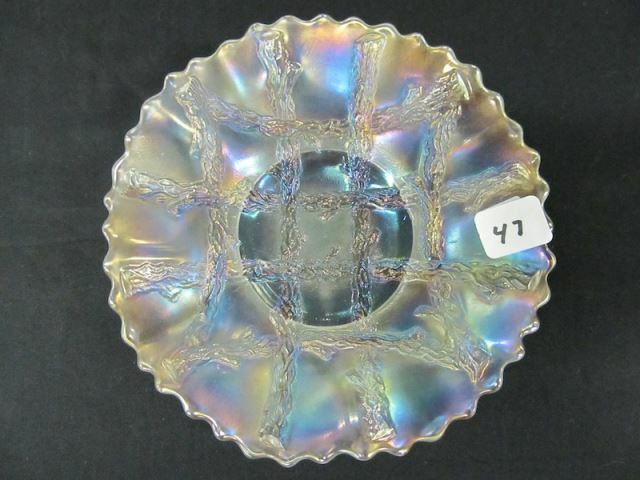 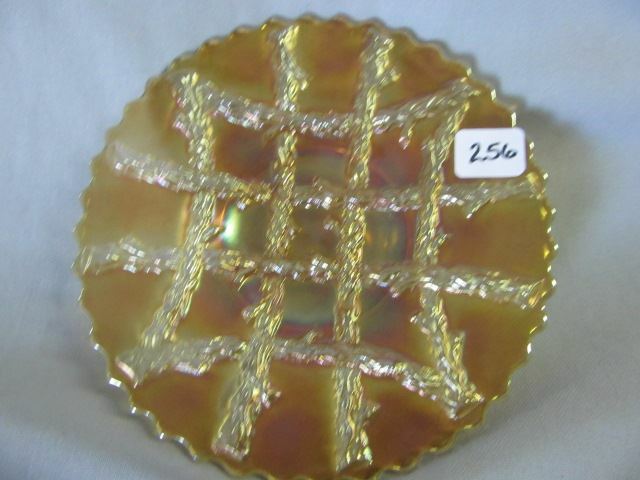 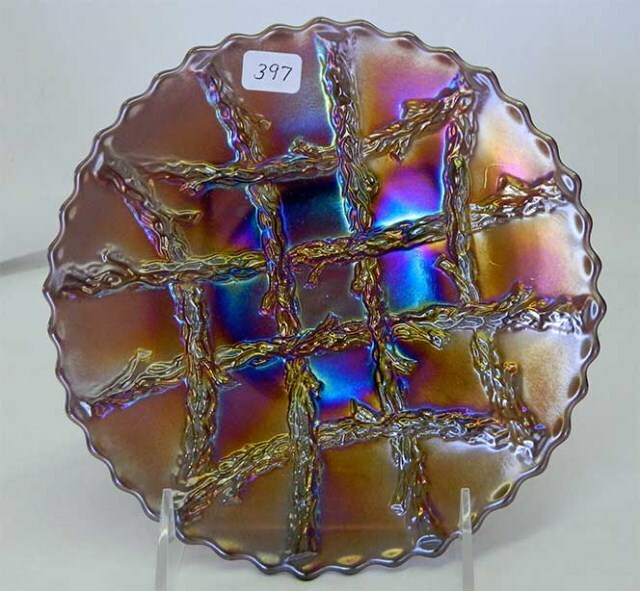 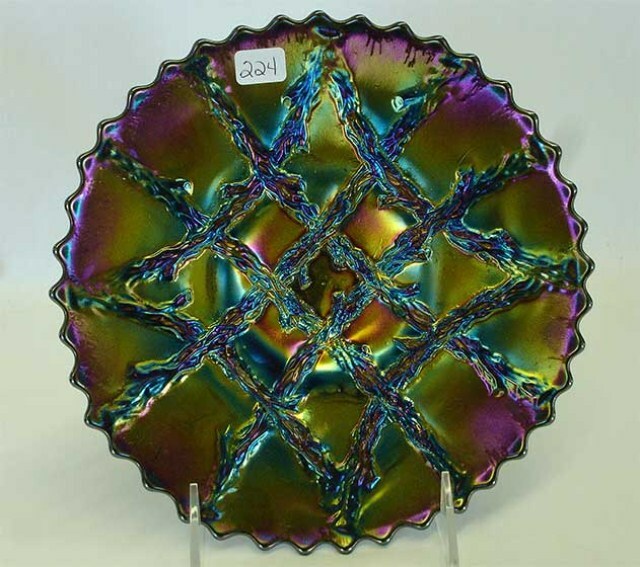 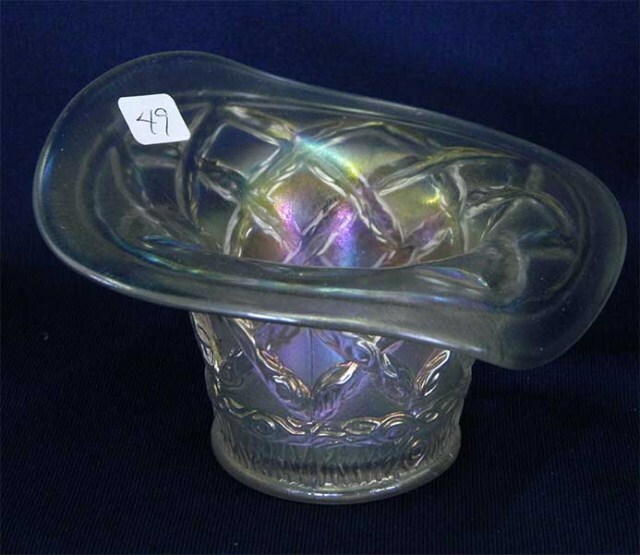 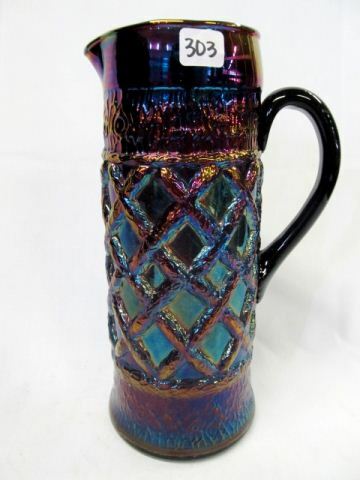 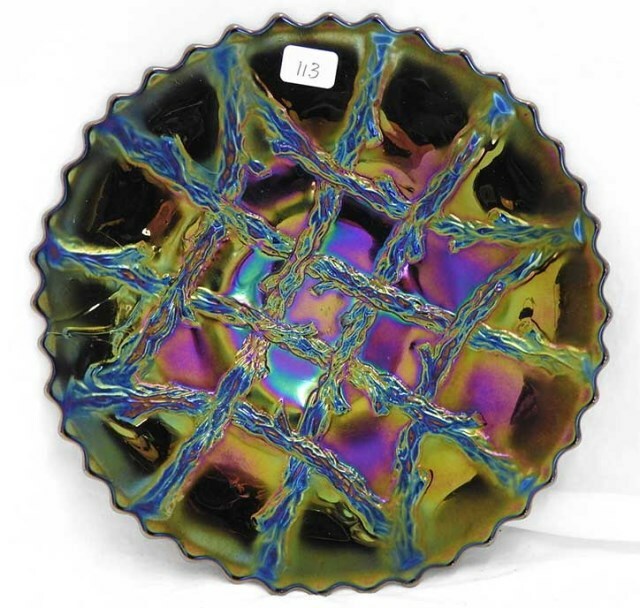 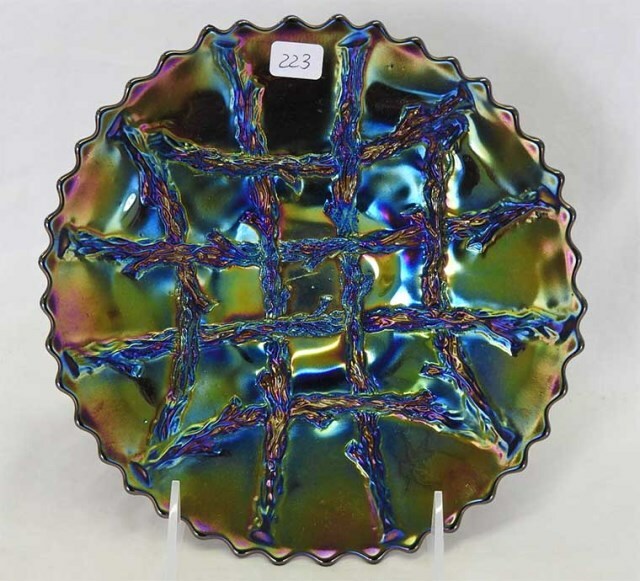 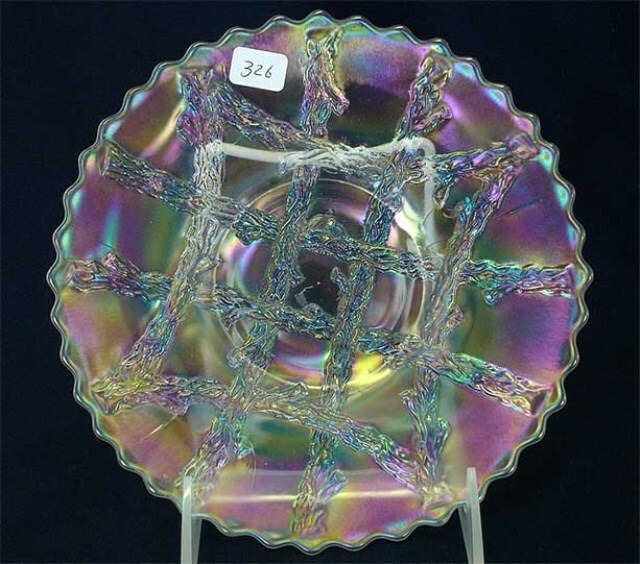 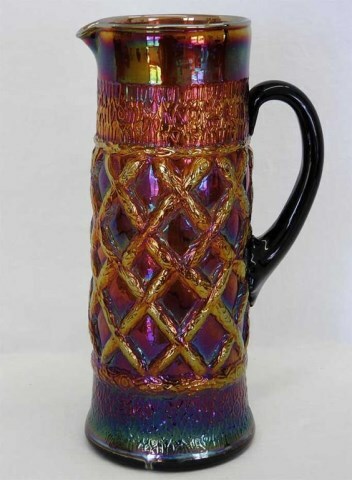 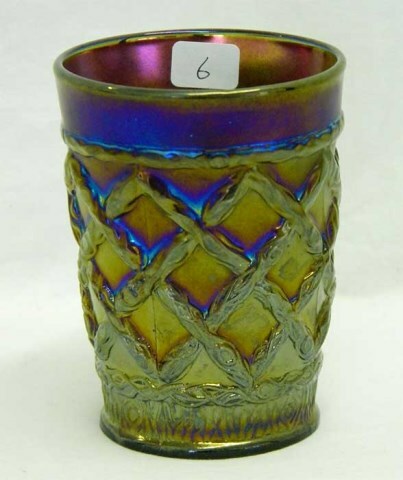 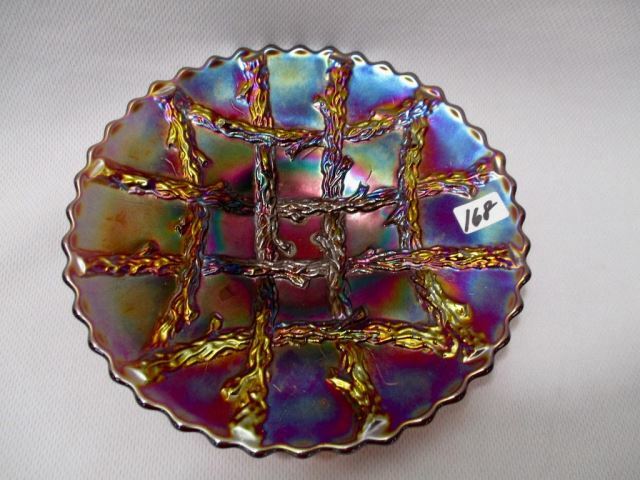 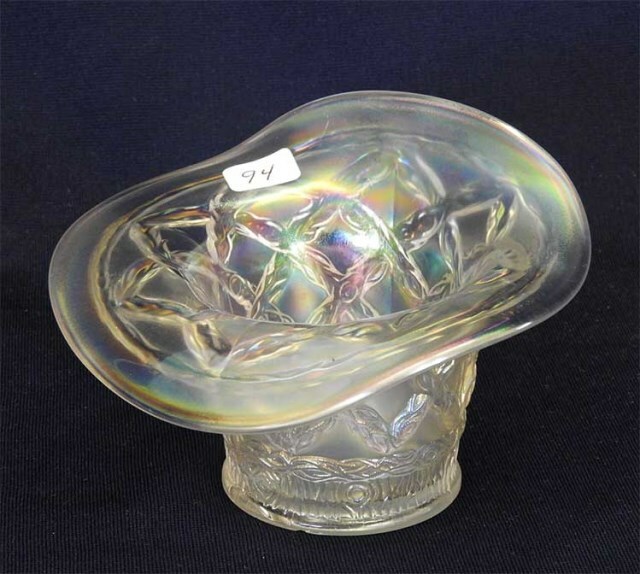 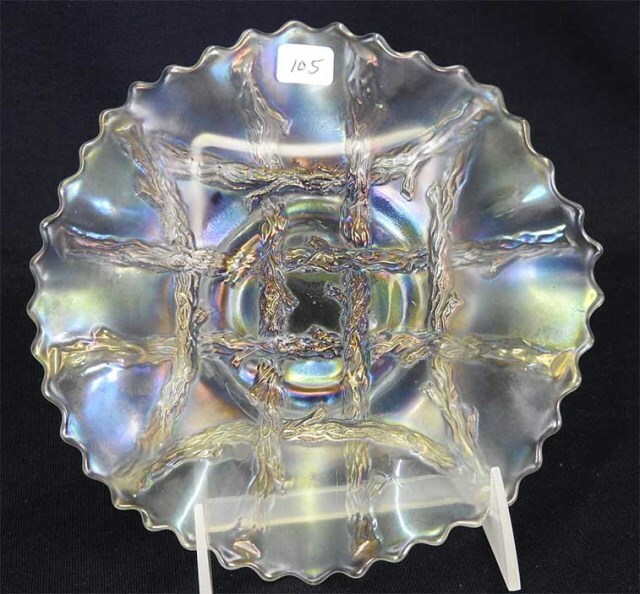 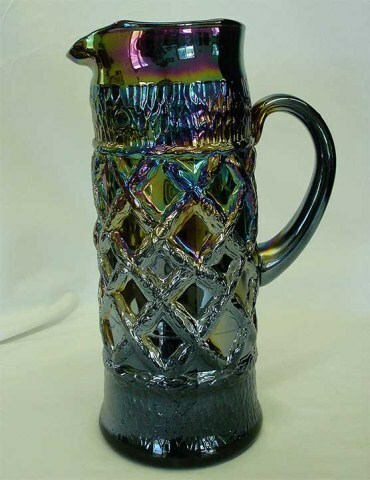 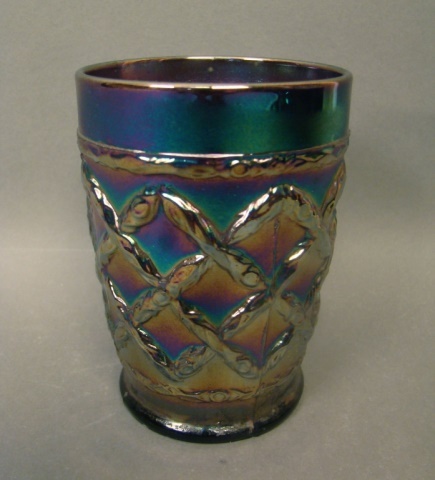 Pitchers and tumblers in the Grapevine Lattice pattern are sometimes confused with Fenton's Lattice and Grape. 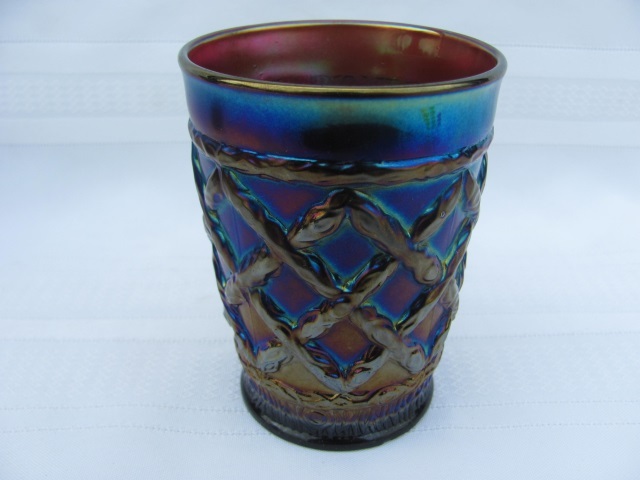 Tumblers have been reproduced. 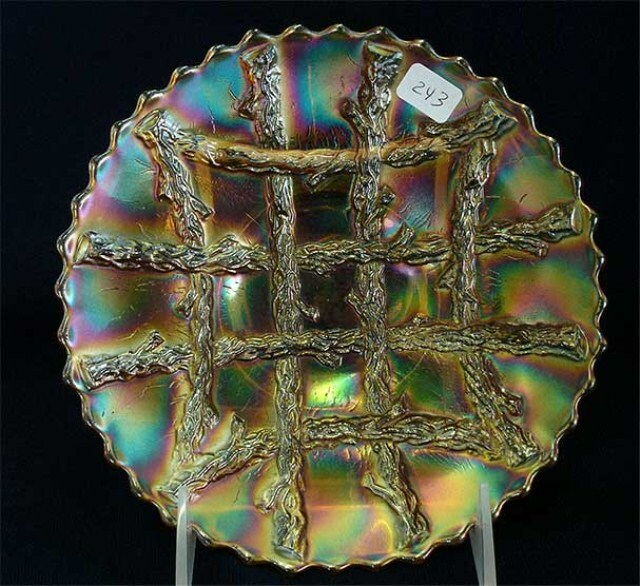 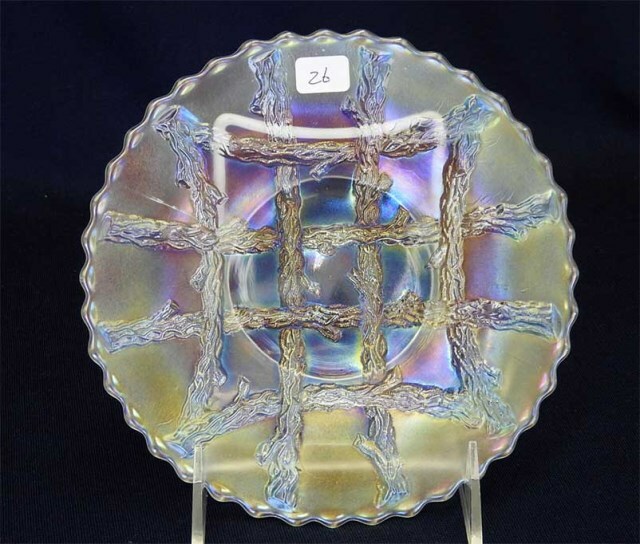 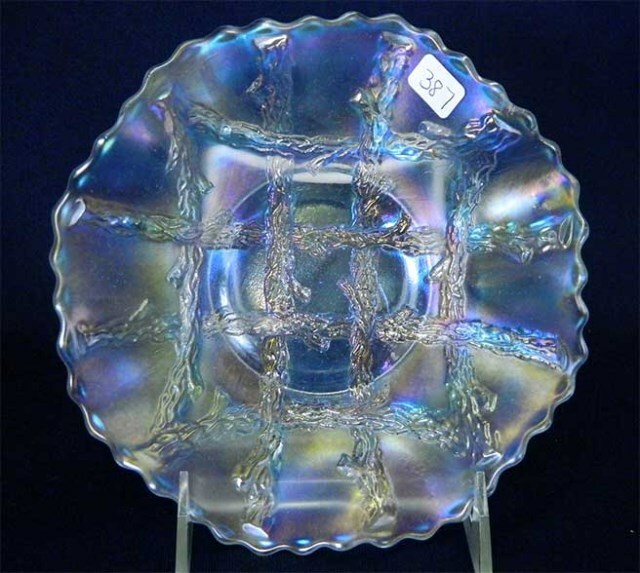 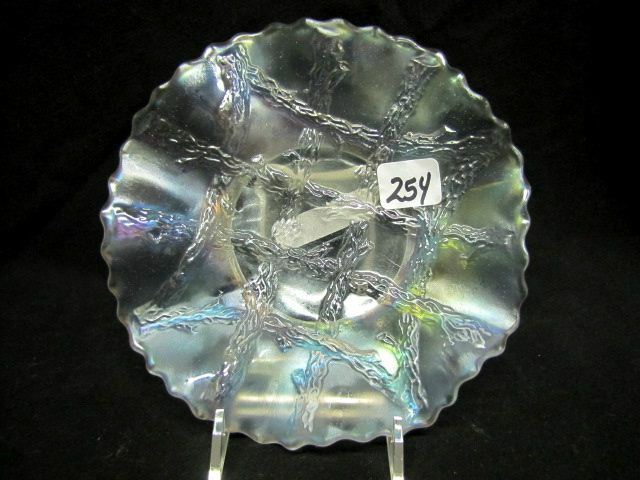 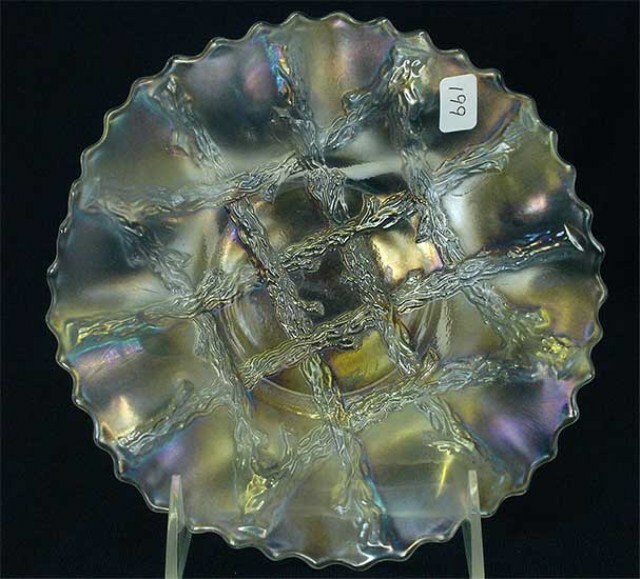 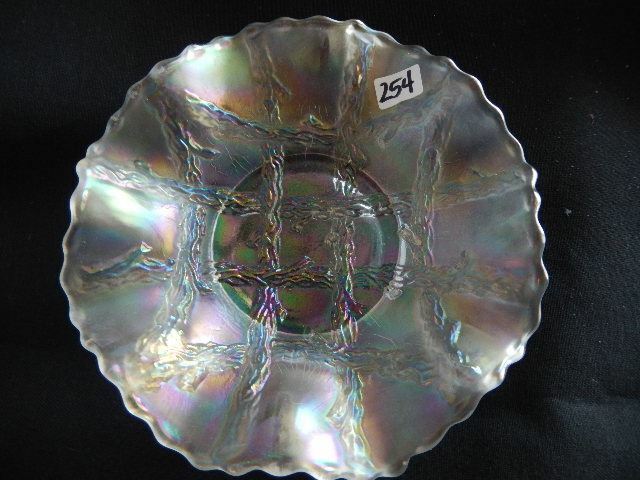 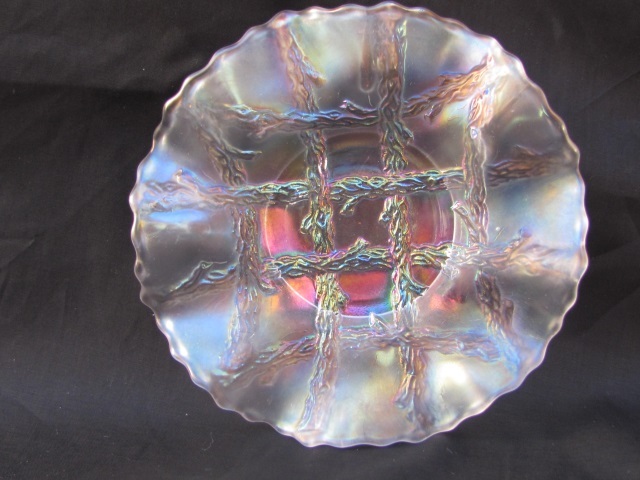 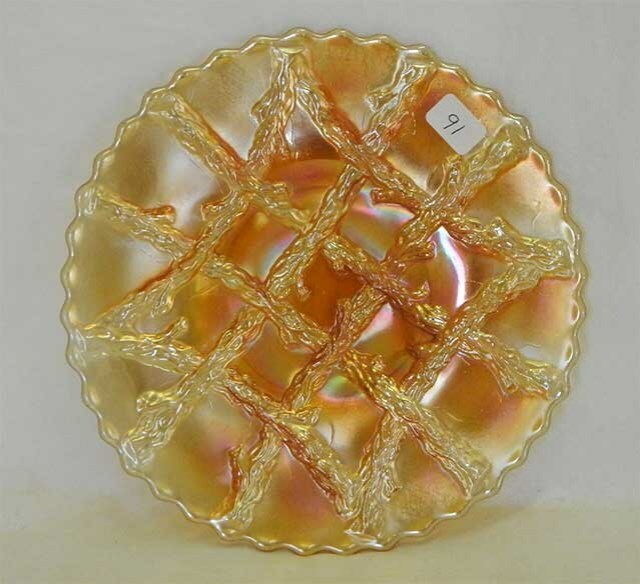 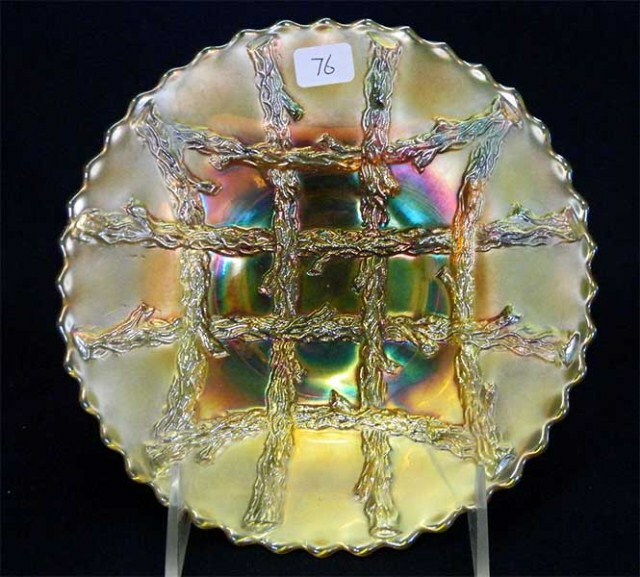 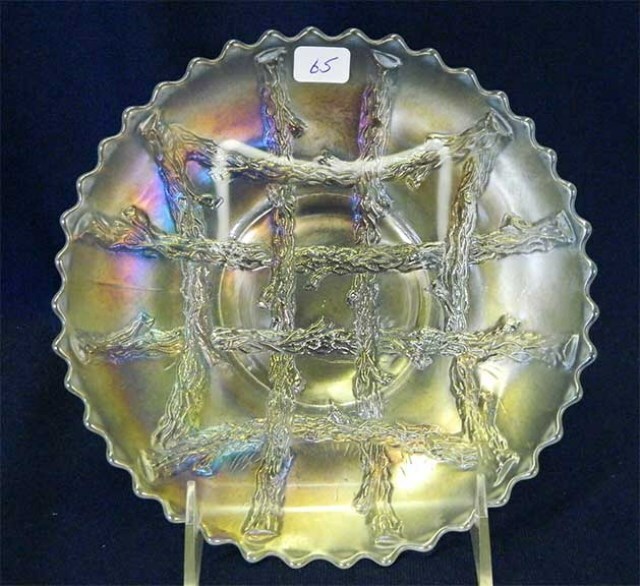 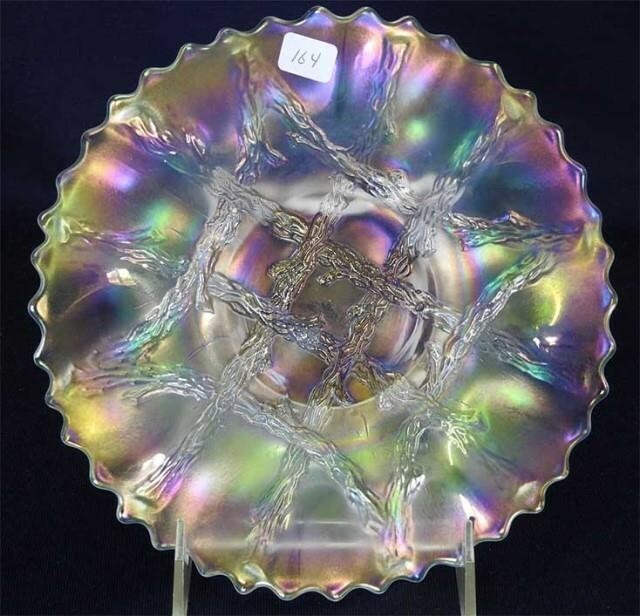 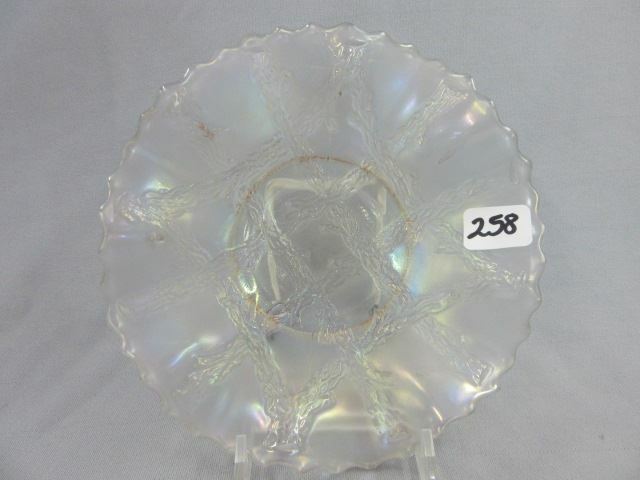 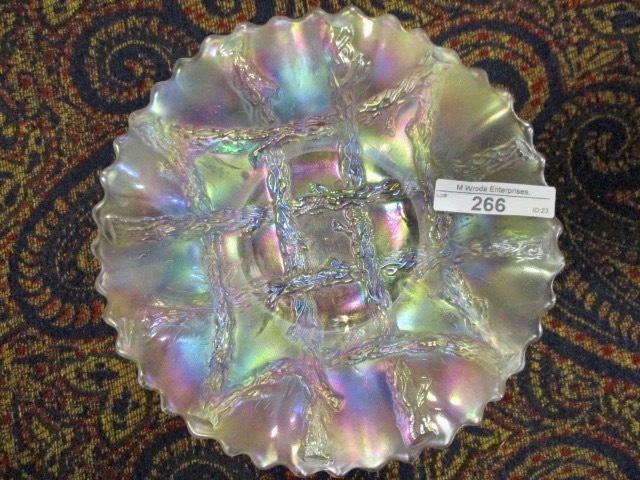 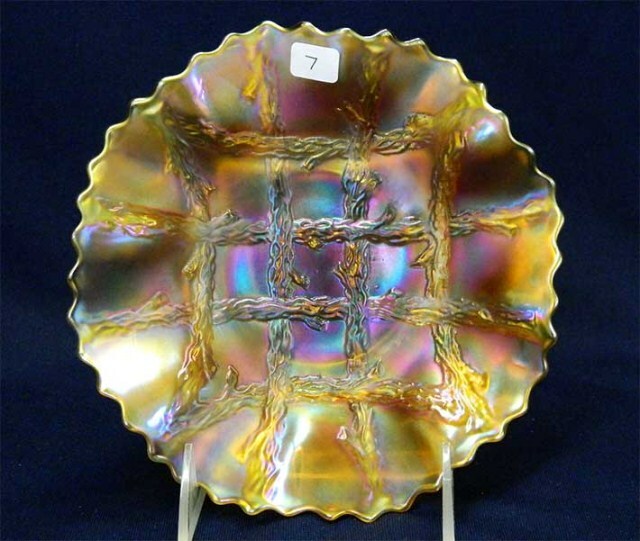 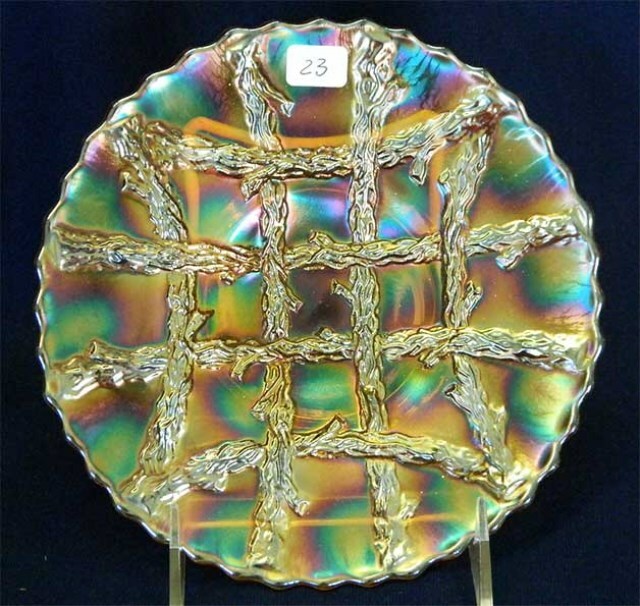 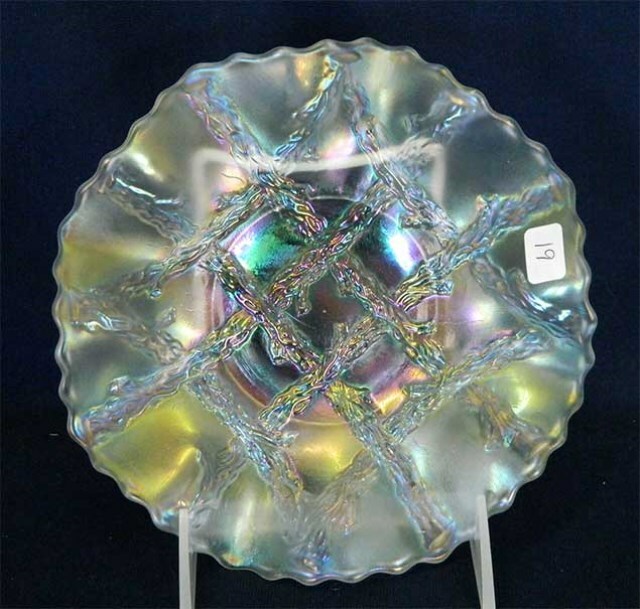 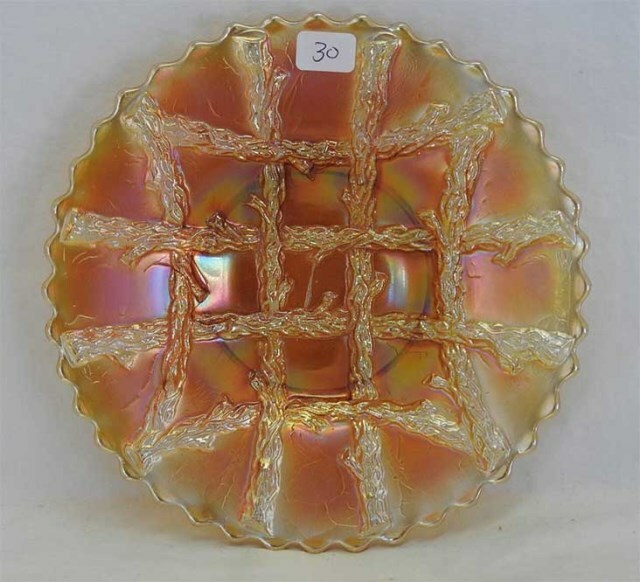 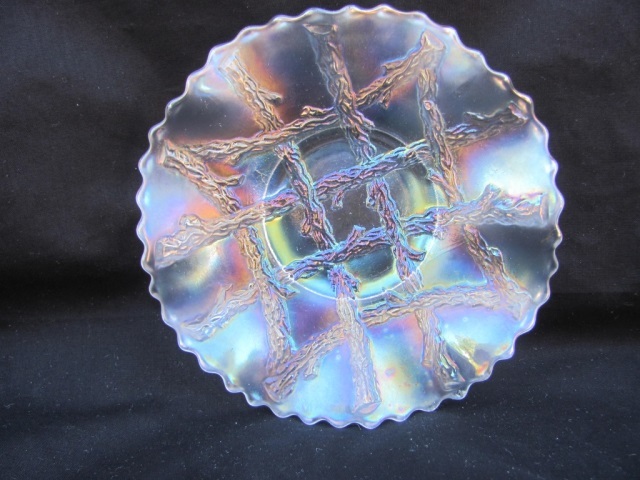 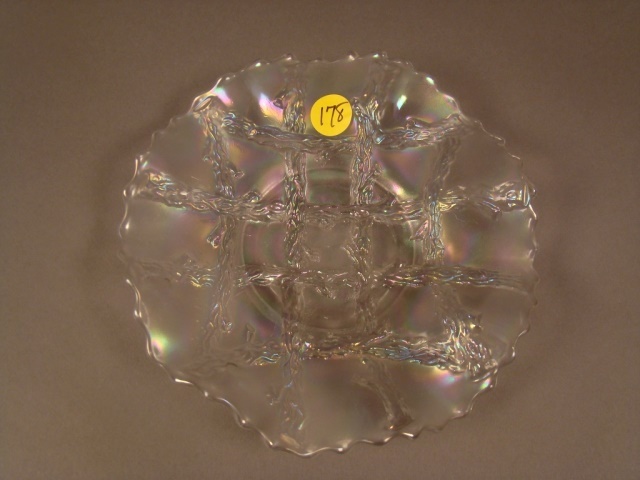 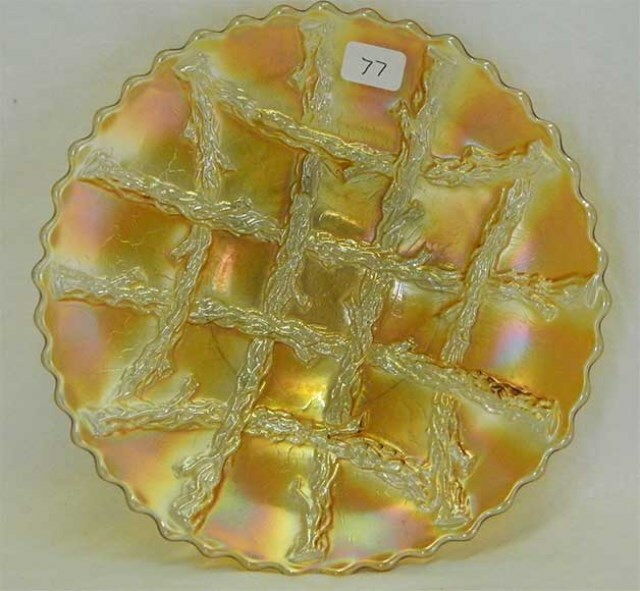 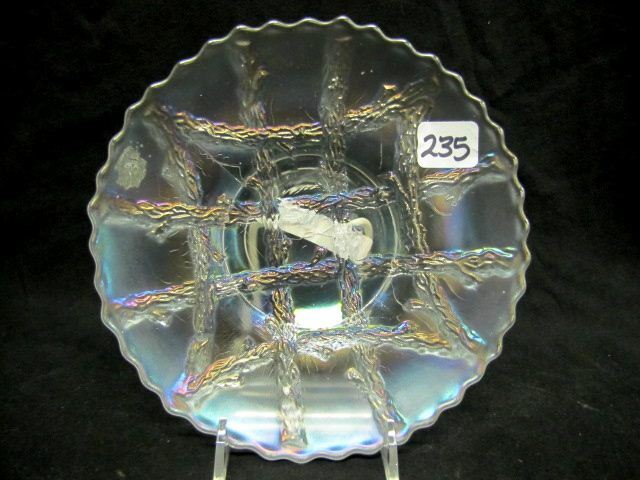 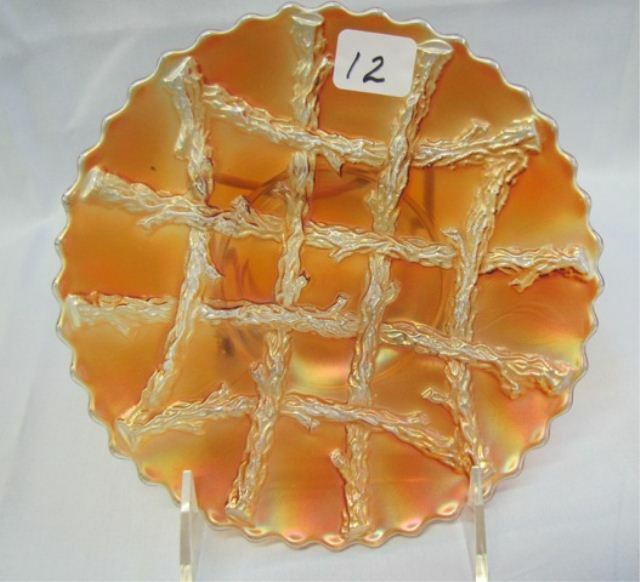 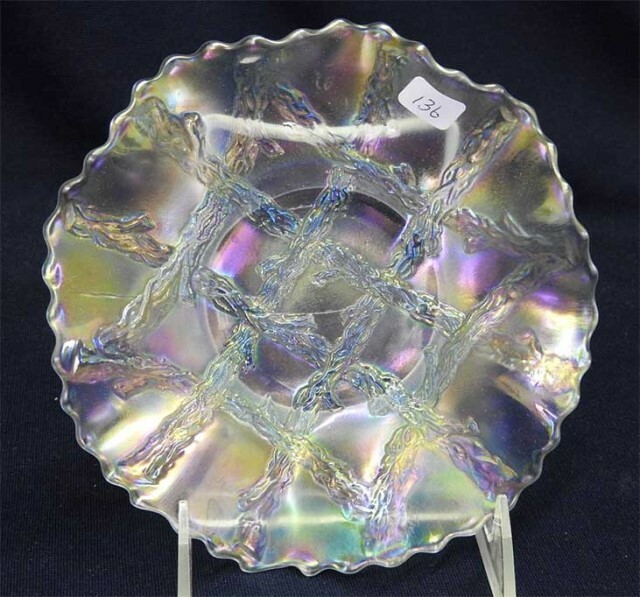 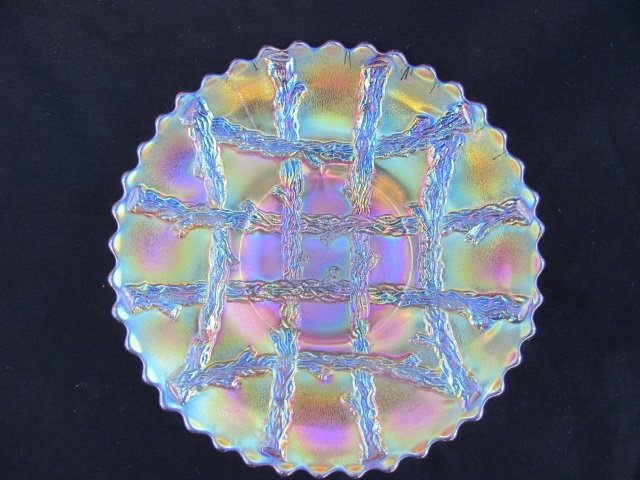 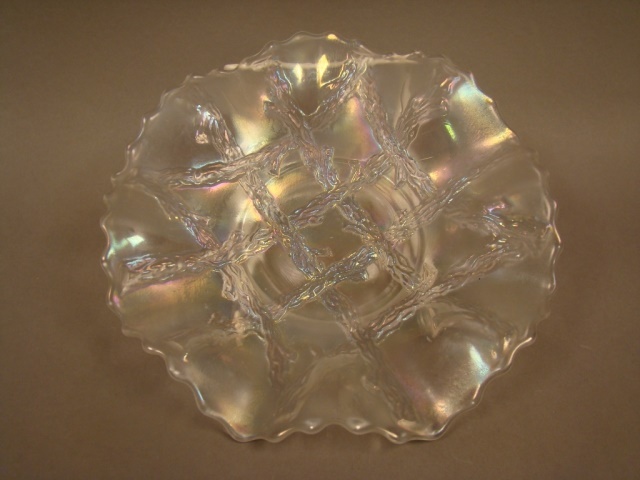 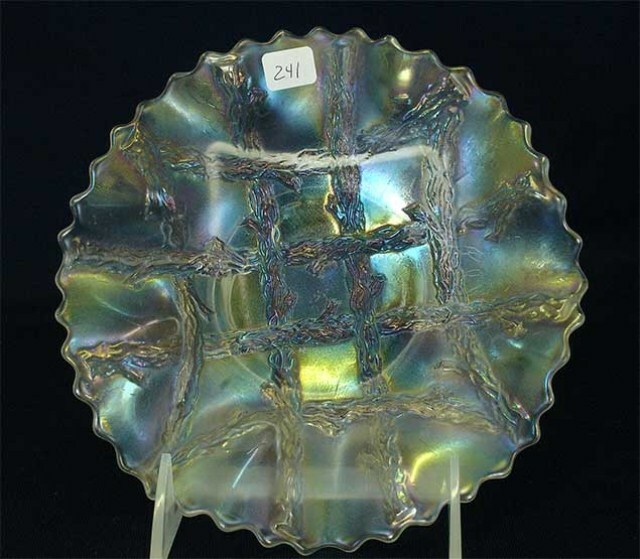 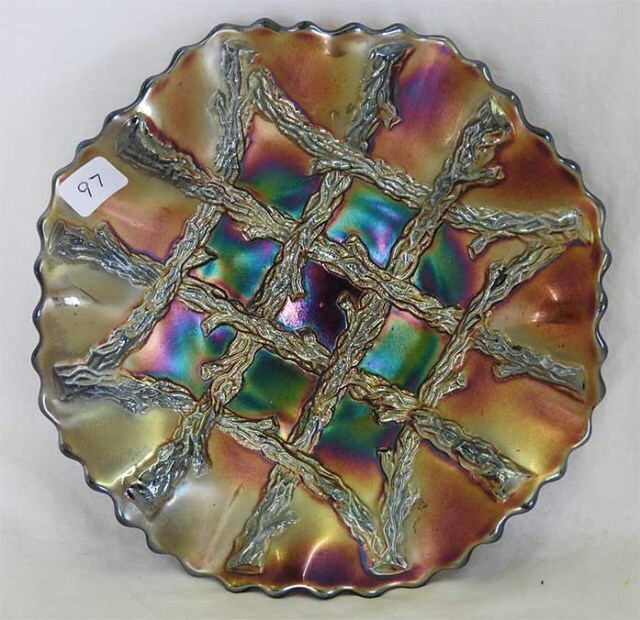 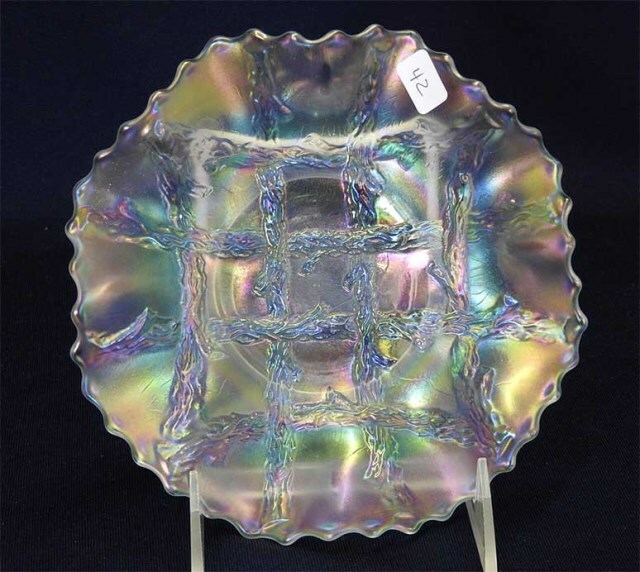 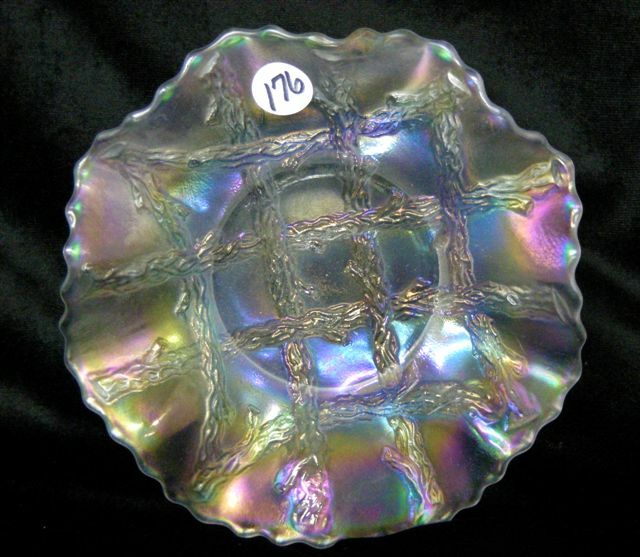 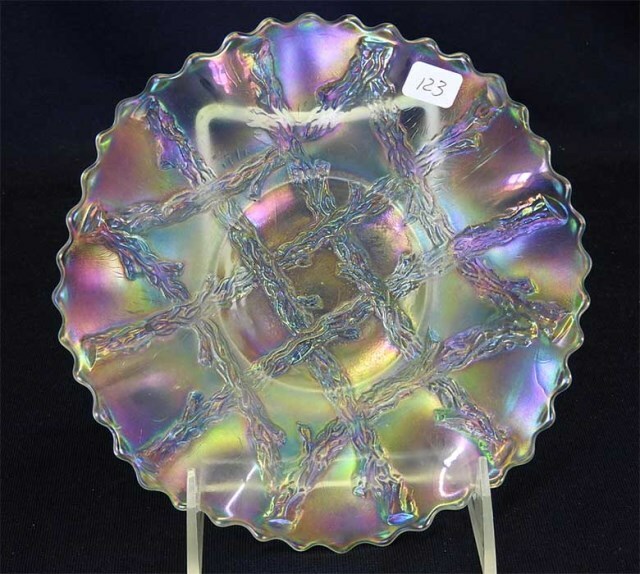 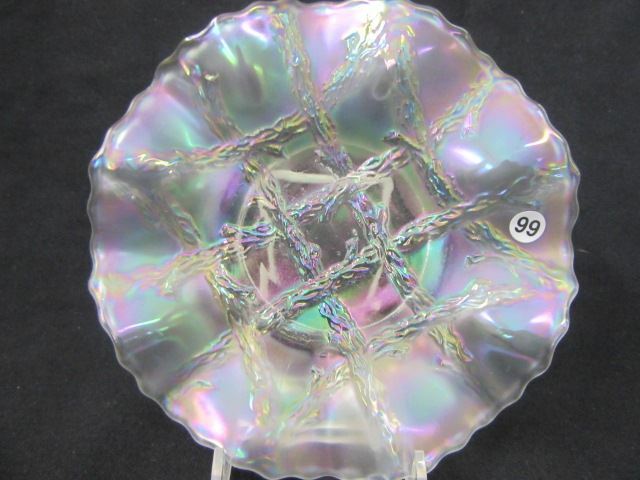 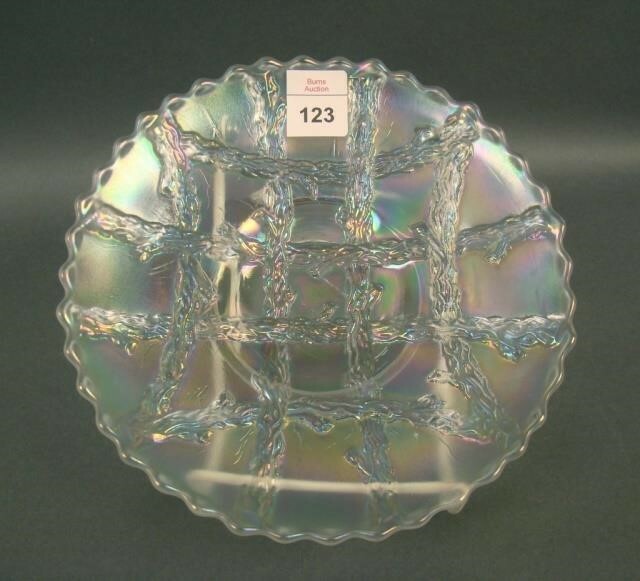 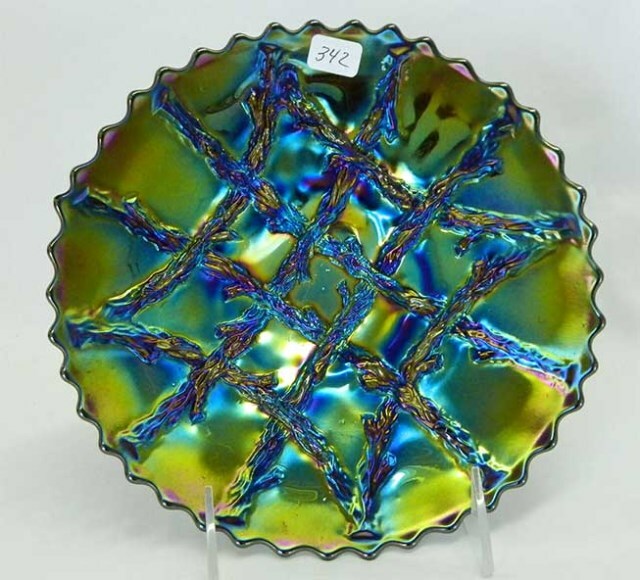 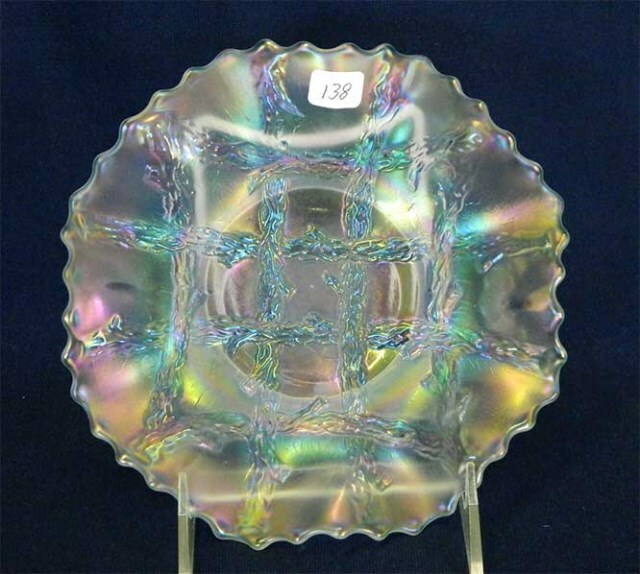 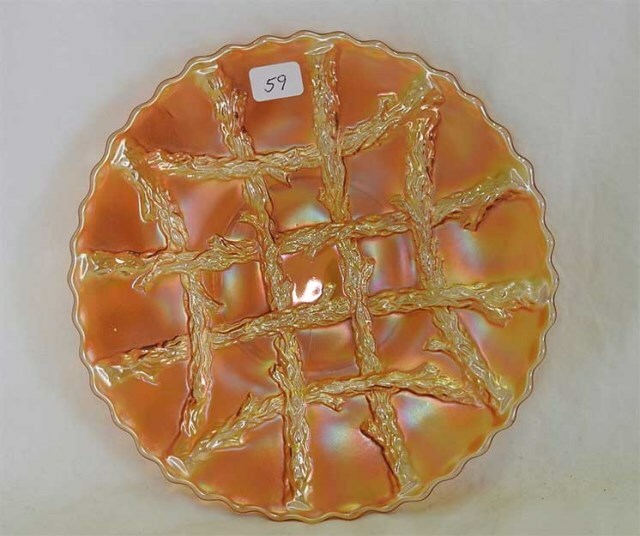 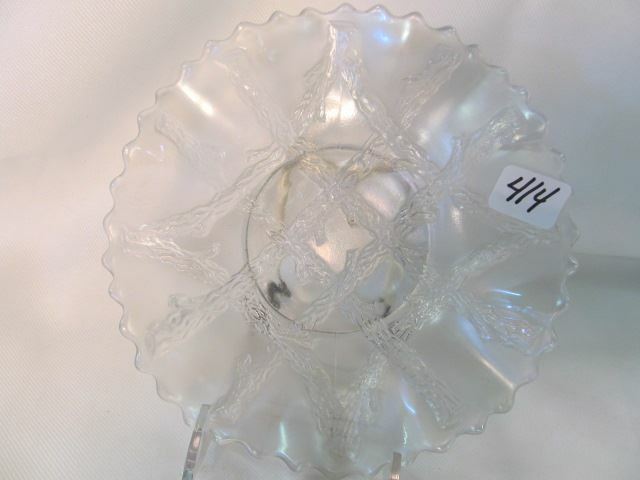 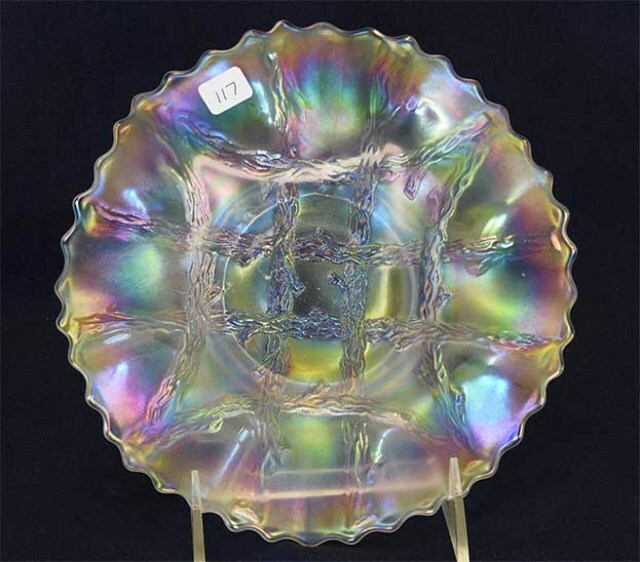 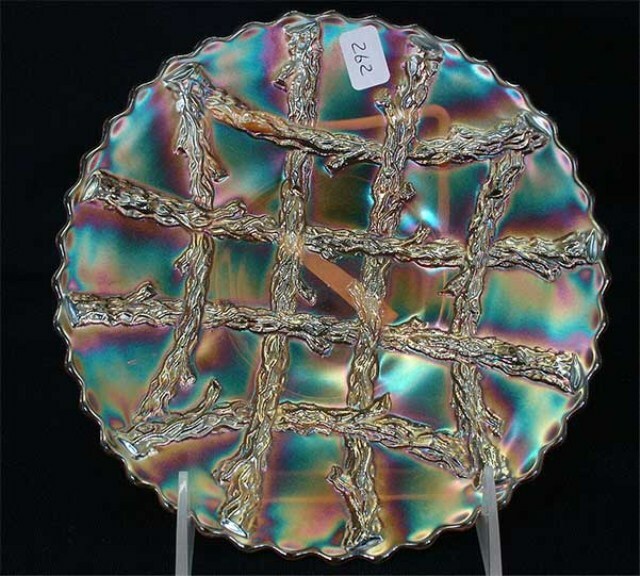 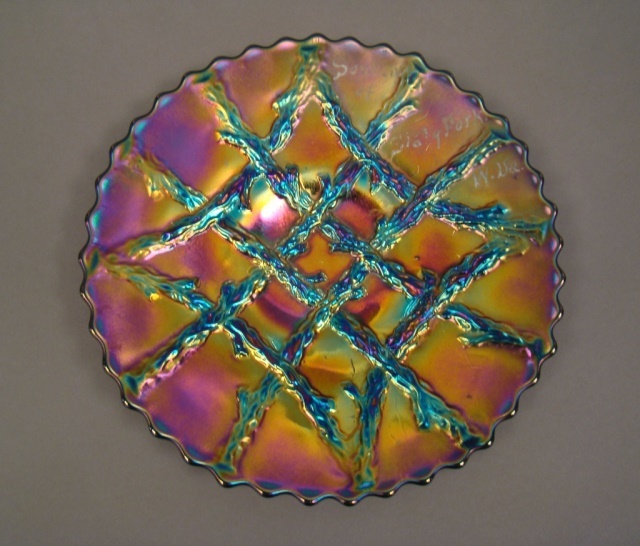 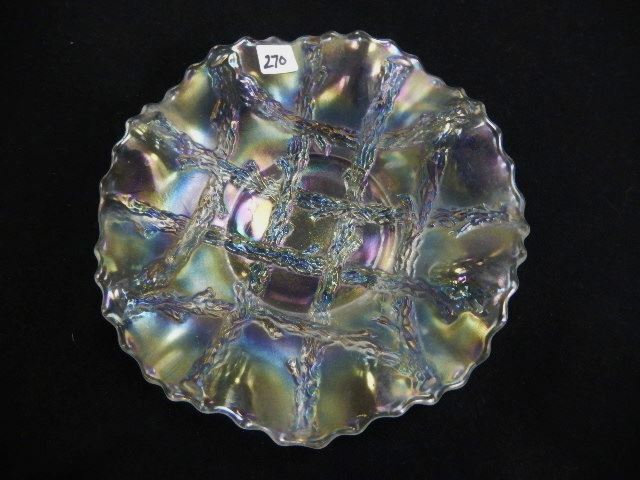 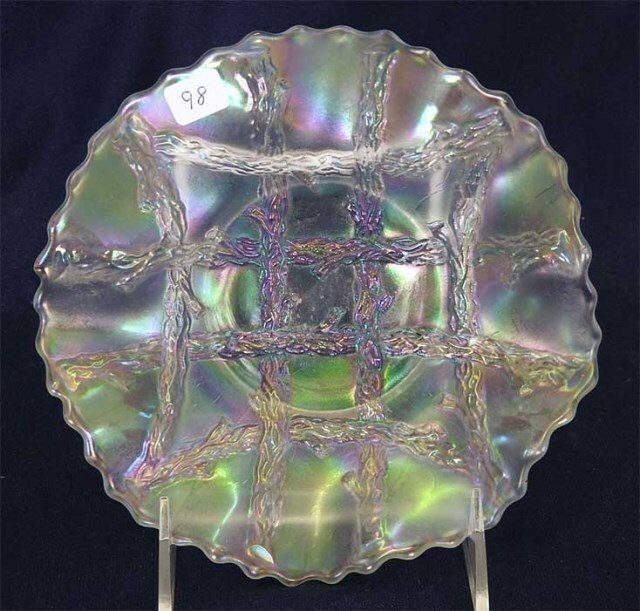 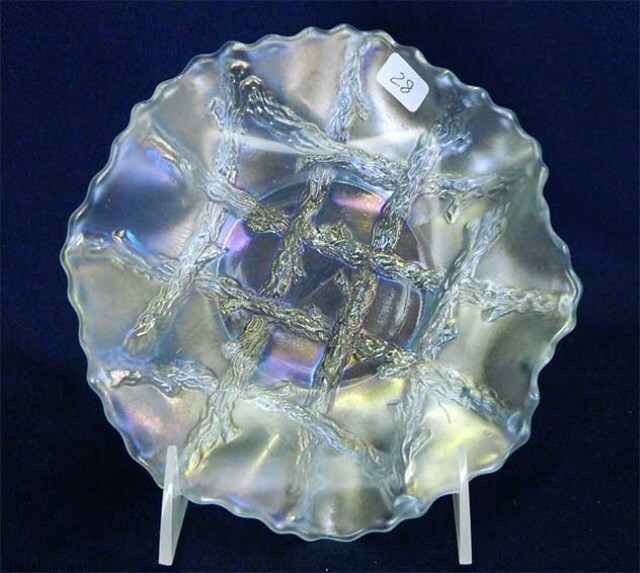 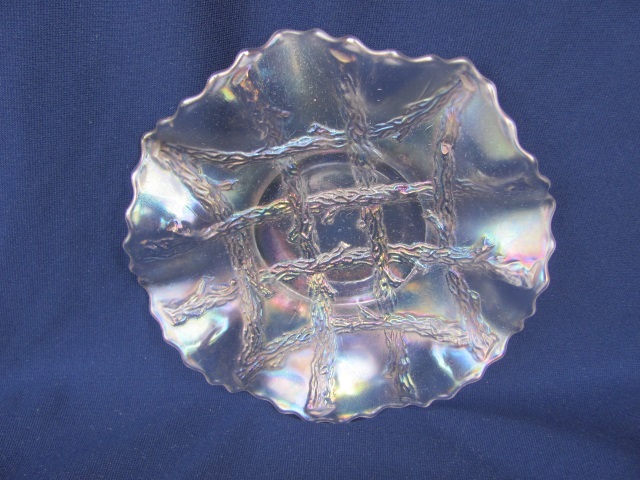 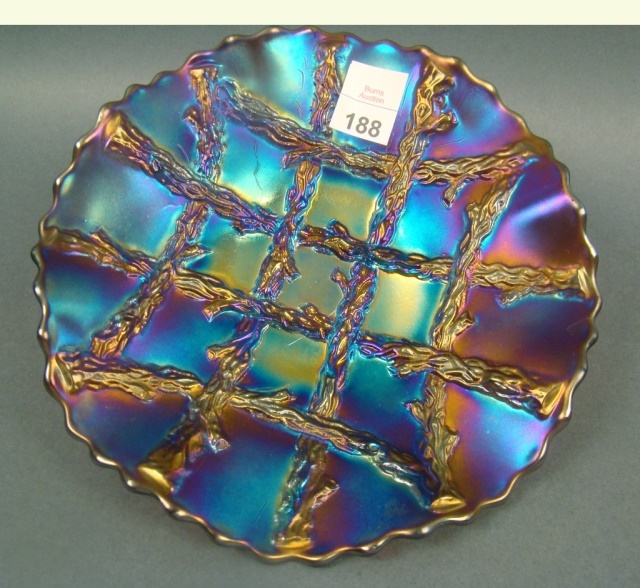 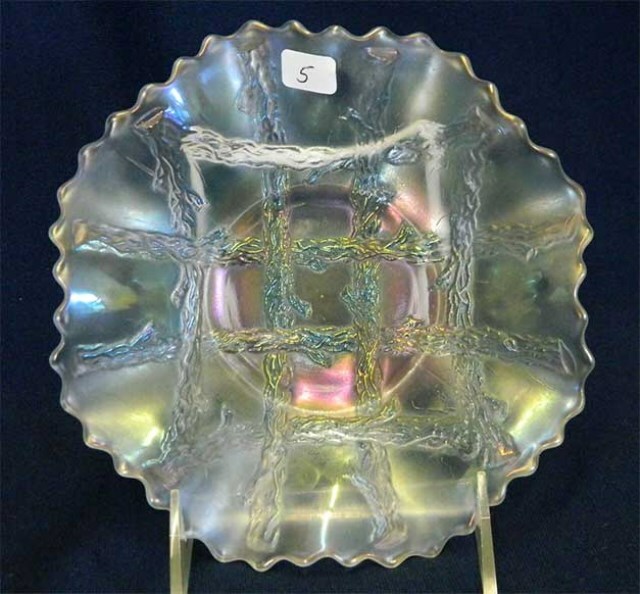 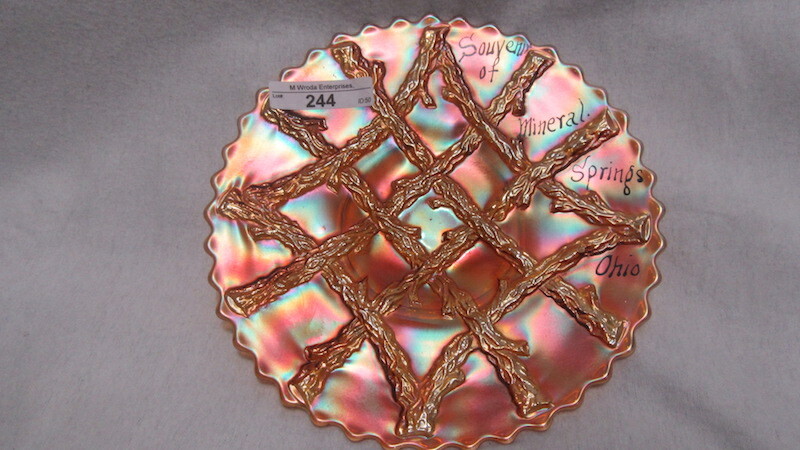 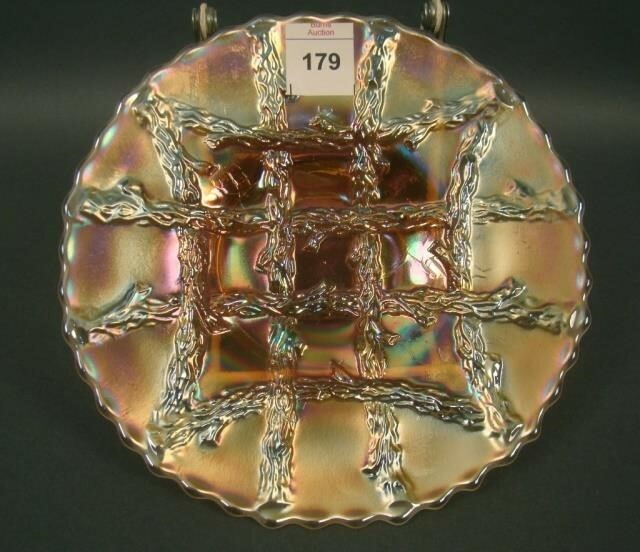 Plates and bowls in Grapevine Lattice are sometimes confused with Dugan's own Apple Blossom Twigs. 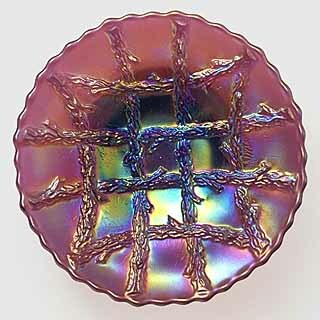 This pattern, however, does not have the apple blossom, only the lattice of twigs. 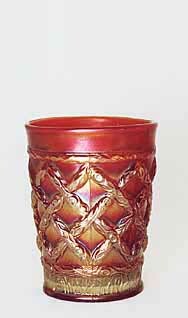 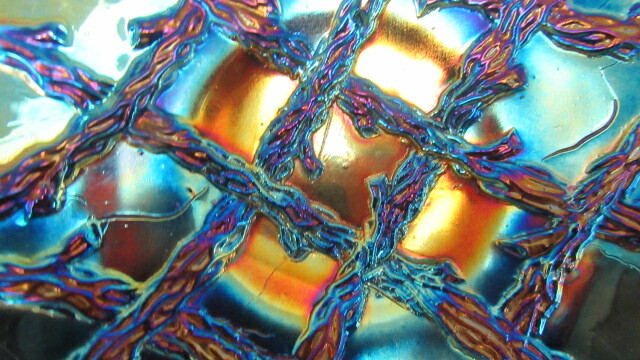 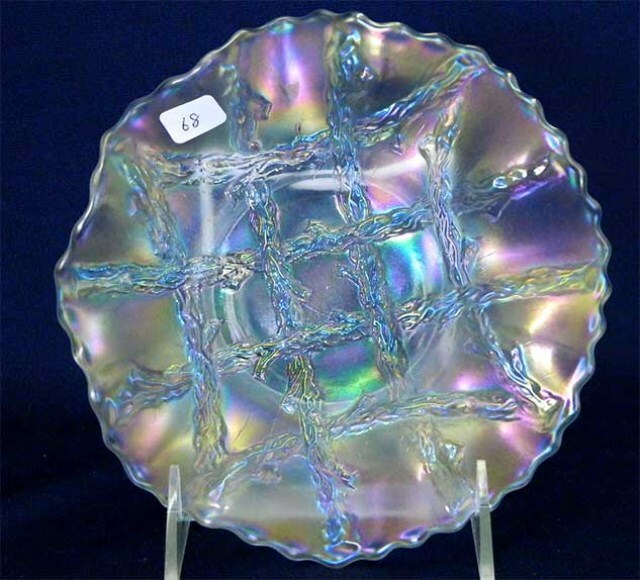 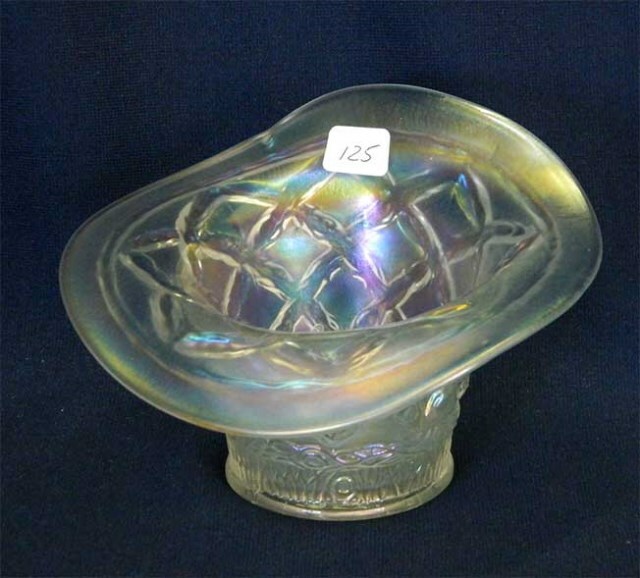 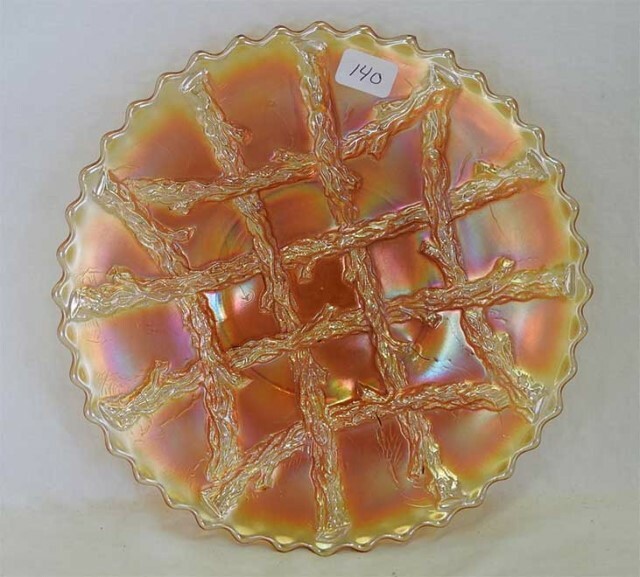 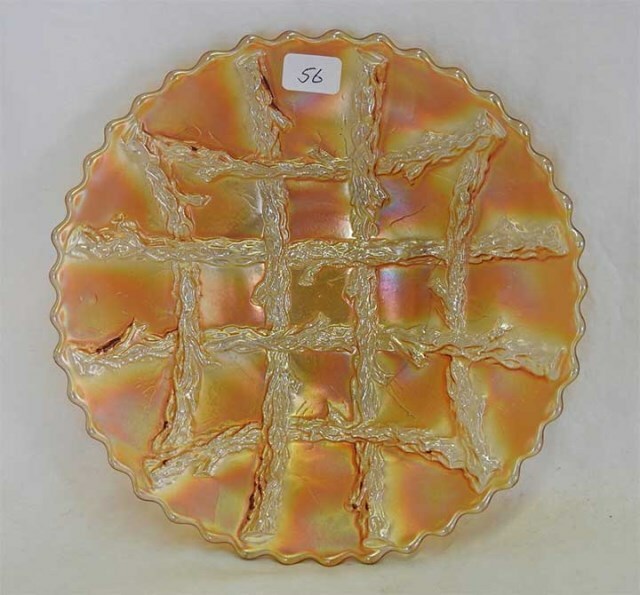 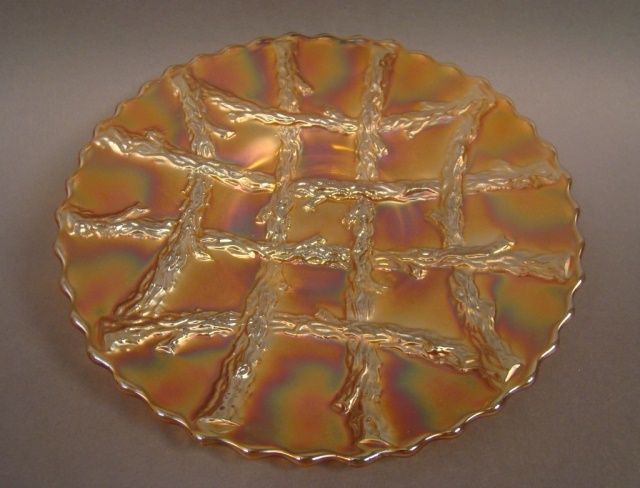 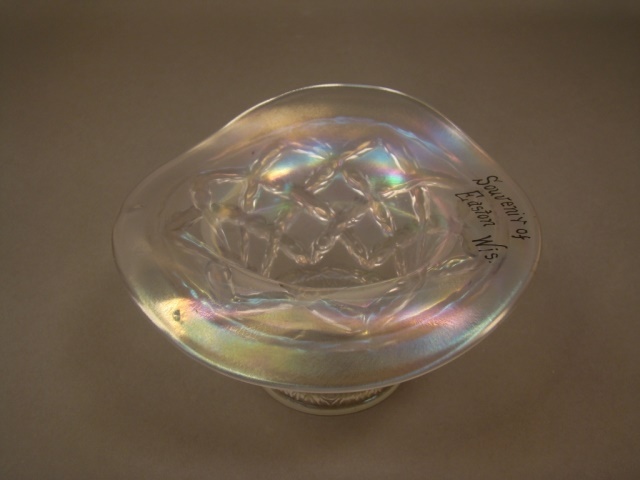 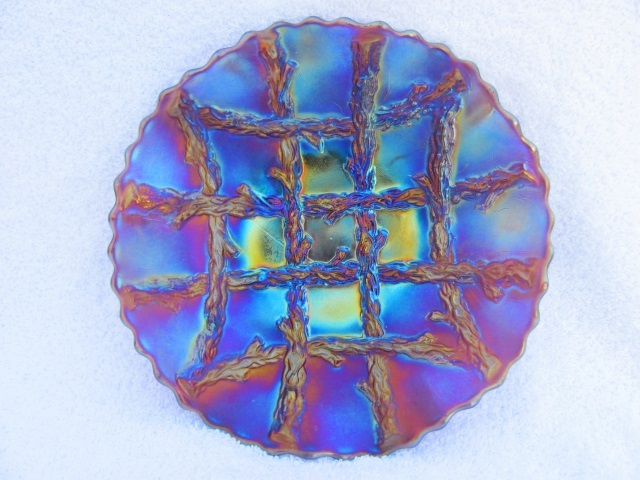 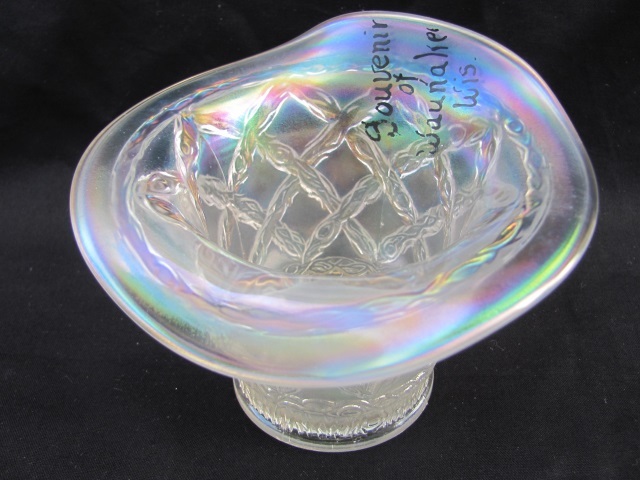 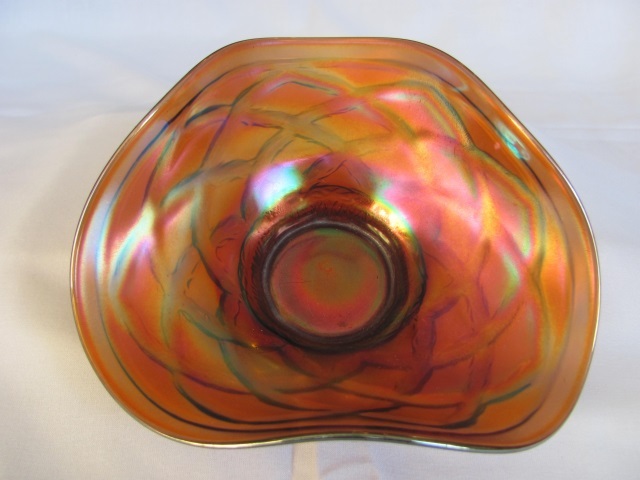 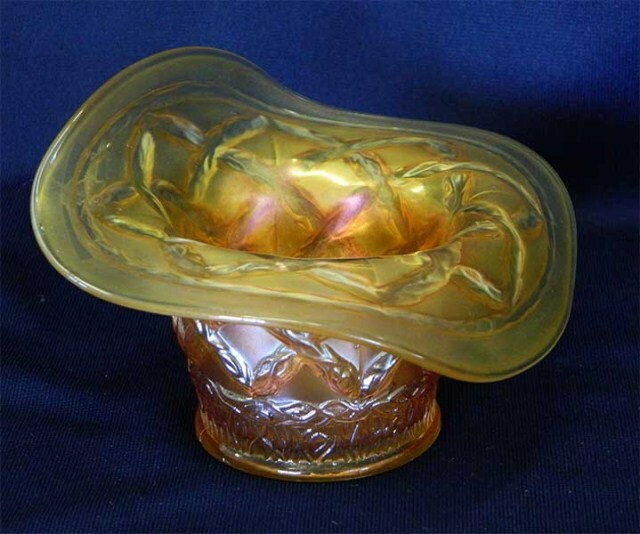 Peach opalescent, so prominent in most Dugan patterns, is almost unknown here.